Wolfie Hebert’s parents vanish into the chaos of a war, leaving him behind, injured, terrified, and alone. In the final months of WWII, with Hitler’s empire collapsing around them, Wolfie, an 11-year-old German boy, teams up with Yoska, a teenage Romani (gypsy), on a long, dangerous journey to find their lost families. Danger greets them at every turn: former concentration camp guards, enemy soldiers, fire, and a devious farmer. 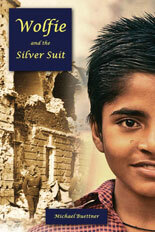 But Wolfie has a suit, a gift from his scientist father, that contains powers he is only just beginning to understand. But perhaps it’s what he learned from his streetwise mother that will prove to be the greatest gift of all. Lin Sten’s new work of historical fiction is set during the Peloponnesian War in classical Greece, just after Athens (the city-state) quells the revolt of Lesbos in 427 BC. Athens’s initial impulse is to put to death every male in Mytilene, on Lesbos, and to sell all the women and children into slavery. 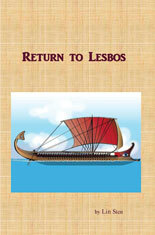 At this very time, Arion must return to Mytilene to retrieve the family estate from his treacherous uncle, find his mate and free her, and then return to Athens to make an enormous payment against the (illicit) enslavement-collateral contract held by his longtime nemesis, the banker/pirate Smerdis, or face a return to the mines in Laurion. He has eight days. John, two-time Oregon Book Award Winner (most recently for his essay collection, The Far Corner, 2011), has a new novel set in the Pacific Northwest. Henry Fielder runs into an old lover and finds himself ready to tell the story he has harbored for two decades that begins when he is 15, in rural western Oregon, enduring a year of sorrows. 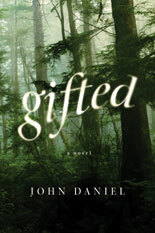 His mother dies, his father is physically abusive, and his extraordinary spiritual affinity for wildlife deserts him. An older couple offer solace and expanded cultural horizons but set him further at odds with his millworker father. The abuse escalates, and ultimately a natural disaster catalyzes a crisis in which father and son betray each other and Henry sets out on a trek through the backcountry of the Oregon Coast Range, seeking to understand what has happened and to forge a new sense of self. 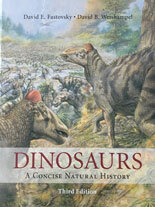 A textbook for non-science majors, the third edition of Dinosaurs has been reorganized and extensively rewritten in response to instructor and student feedback. Now in full color, with a suite of new images, and updated to reflect recent fossil discoveries, it continues to make science accessible and relevant through its clear explanations and extensive illustrations. This is the first book-length treatment of the concepts, designs, methods, and tools needed to conduct effective advocacy and policy change evaluations. In addition to describing actual designs and measures, the chapters include suggestions for addressing the specific challenges of working in a policy setting, such as a long time horizon for achieving meaningful change. 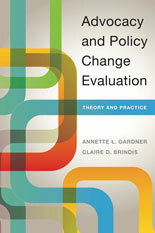 To illuminate and advance this area of evaluation practice, the authors draw on over 30 years of evaluation experience; collective wisdom based on a new, large-scale survey of evaluators in the field; and in-depth case studies on diverse issues—from the environment to public health to human rights. Ideal for evaluators, change makers, and funders, this book is the definitive guide to advocacy and policy change evaluation. 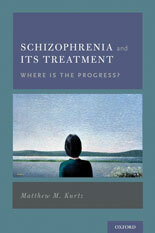 Mattew’s new book aims to explain why, despite profound advances in psychological science and neuroscientific analyses of schizophrenia, outcomes for the disorder have changed little over the past 100 years. More specifically, the book provides a critical analysis of the limiting role on treatment development of diagnostic classifications and views of the disorder as caused by a core pathology, and instead promotes the idea of individually tailored, multimodal treatment for distinct disorder features (e.g., positive symptoms, cognitive deficits). Each of these features of schizophrenia may or may not be present in different individuals with the same diagnosis. These features may also bear little functional relationship to one another. This aim is achieved through a critical integration of contemporary psychological, scientific, and neuroscientific analyses of schizophrenia, as well as research on psychological and somatic treatments. Historical perspectives on diagnosis and treatment are considered as well. Nikhil explores the politics of Mumbai’s water infrastructure to demonstrate how citizenship emerges through the continuous efforts to control, maintain, and manage the city’s water. 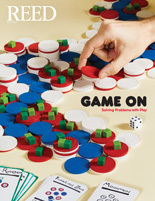 Through extensive ethnographic fieldwork in Mumbai’s settlements, he found that Mumbai’s water flows, not through a static collection of pipes and valves, but through a dynamic infrastructure built on the relations among residents, plumbers, politicians, engineers, and the 3,000 miles of pipe that bind them. In addition to distributing water, the public water network often reinforces social identities and the exclusion of marginalized groups, as only those actively recognized by city agencies receive legitimate water services. 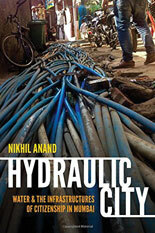 Tying the ways Mumbai’s poorer residents are seen by the state to their historic, political, and material relations with water pipes, the book highlights the critical role infrastructures play in consolidating civic and social belonging in the city. Jessica presents a thoroughly researched and engaging study of the deerskin trade in the colonial Southeast, upending the long-standing assertion that Native Americans were solely gift givers and the British were modern commercial capitalists. This traditional interpretation casts Native Americans as victims drawn into and made dependent on a transatlantic marketplace. Jessica complicates that picture by showing how both the Southeastern Indian and British American actors mixed gift giving and commodity exchange in the deerskin trade, such that Southeastern Indians retained much greater agency as producers and consumers than the standard narrative allows. By tracking the debates about Indian trade regulation, she also reveals that the British were often not willing to embrace modern free market values. 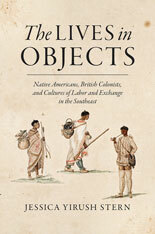 While she sheds new light on broader issues in native and colonial history, Jessica also demonstrates that concepts of labor, commerce, and material culture were inextricably intertwined to present a fresh perspective on trade in the colonial Southeast. After four years in Berlin writing for Der Spiegel, reporting for NPR Berlin, and creating television for Deutsche Welle, Joel moved to San Francisco to produce short documentaries for AJ+. His first pieces are the first two segments of a six-part series called Guns in America. AJ+’s documentary series explores how fear and power define Americans’ relationship with guns. The six-part series examines the controversy over assault rifles, guns in schools, the rise of concealed carry, the NRA’s new agenda, smart guns, and record shooting rates in Chicago. 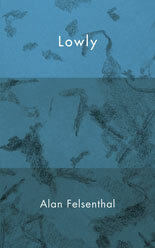 Alan’s debut poetry collection Lowly is part invocation, part invitation. The poems consider death, rebirth, and love, while exploring the symbols that make life bearable. “I invent stories. Out of other stories. I can only repeat what I have heard.” Lowly is a restorative work with rhythmic lines that will resonate with the reader long after the book is closed. 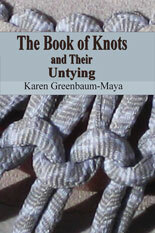 Poet Susan Howe remarked that this collection is “quietly oracular. With feeling and purpose, these poems move through precise intensities of thought to lay bare an integrated sense of a possible world. With such paradoxes and subtleties, we might call Felsenthal a new Metaphysical Poet.” Alan Felsenthal cofounded The Song Cave, a small press. With Ben Estes, he edited A Dark Dreambox of Another Kind: The Poems of Alfred Starr Hamilton. His writing has appeared in BOMB, the Brooklyn Rail, Critical Quarterly, Fence, jubilat, and Harper’s. Anita Hannig, who is now teaching at Brandeis University in the Department of Anthropology, published her first book in April, about maternal childbirth injuries and Western biomedical intervention in Africa. This is an in-depth ethnography of two repair and rehabilitation centers in Ethiopia. Anita takes the reader deep into a world inside hospital walls, where women recount stories of loss and belonging, shame and delight. 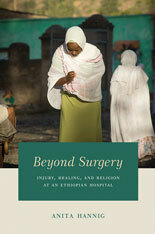 Beyond Surgery portrays the complex social outcomes of surgery in an effort to deepen our understanding of medical missions in Africa, expose cultural biases, and clear the path toward more effective ways of delivering care to those who need it most. Dan has a new podcast, hosted by Jacobin magazine. 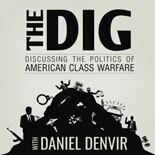 The Dig discusses politics, criminal justice, immigration, and class conflict with smart people. Some recent episodes have featured guests like Dave Weigel, a reporter at the Washington Post, talking about “what the media doesn’t get about the left,” and Charlene Carruthers in an episode called “Fighting for Black Lives Under Trump.” Other guests include Glenn Greenwald and a plethora of academics discussing mass incarceration, political economy, and the rise of Trump. Dan is a fellow at Harvard Law School’s Fair Punishment Project and is writing a book on immigration politics for Verso.